thesupergreat: Superimpose Me-What Would Our Baby Look Like? Bralexis loves the finer things. 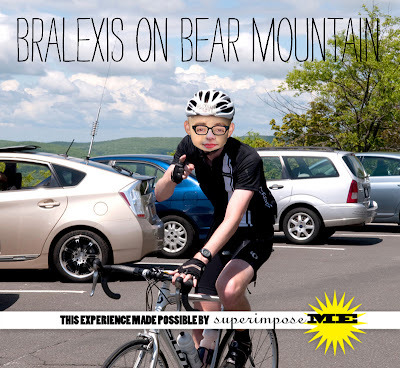 Bralexis has a thing for Spandex, it turns out. Bralexis is just so Brooklyn. Are any of your loved ones having a baby soon? 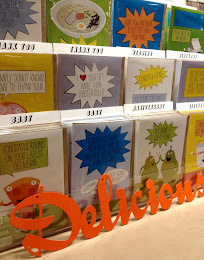 Wouldn't this make such a thoughtful (and unexpected) baby shower gift? Keep it in mind! Also, If you'd like Superimpose Me to bring one of your dreams to life, send your request and a clear pic to SuperimposeMe@thesupergreat.com. I will try my best to make it happen! I've never seen anything so beautiful! 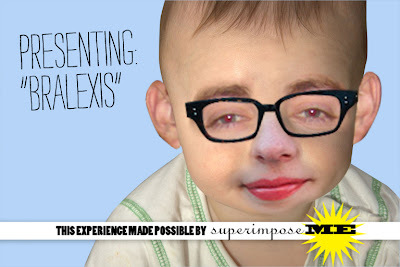 I never knew I could love a fake baby as much as I love Bralexis! 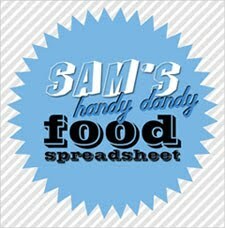 My only hope is that if we ever have a real baby, that it turns out this, um, interesting and well traveled! Also, if we ever have a real baby and you come to our shower, please get us diapers. Thanks! 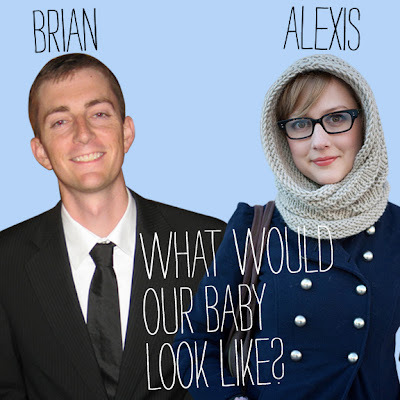 Bralexis has set up shop in my nightmares for the foreseeable future. Well I never! That dear sweet fake baby never did anything to hurt anyone. How could you say such terrible things about such a beautiful angel?! You must have been bullied as a child. seriously, i am dying right now! you are all hysterical! and (sorry Alexis and Brian), Nikolai, i'm with you, that "baby" is CREEEEEPY with a capital "C" and LOTS of E's!!!!! Say what you will, this is a free country after-all, but all I can hope is that someday my sweet little creepy fake baby can live in a world a where he/she is judged on the content of his/her character, and not on the fullness of his/her creepy little baby eyebrows. Oh Rachel, I love you for your open mind! 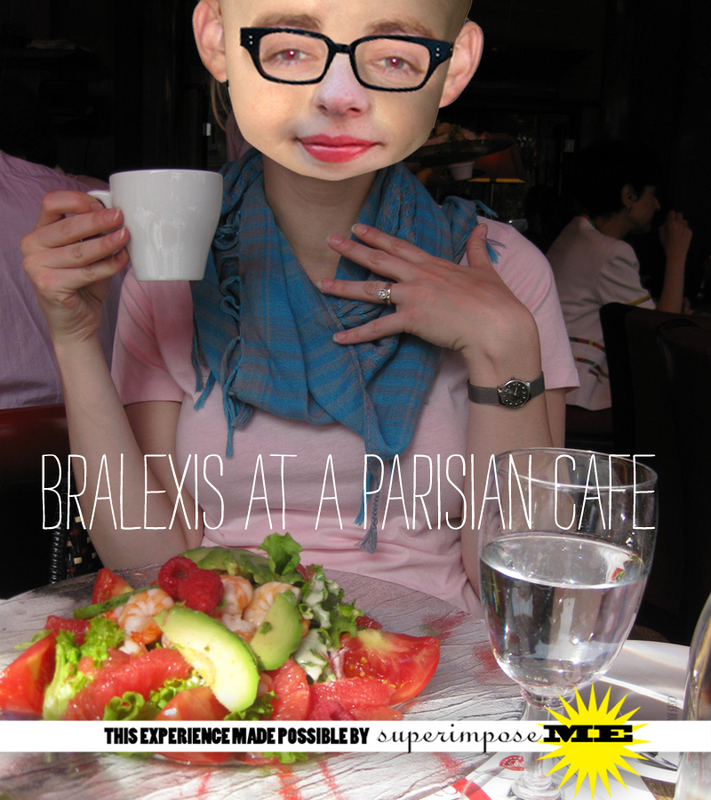 The world is Bralexis's oyster, there is no denying that. I can see that "it" is going to achieve a lot in "its" lifetime. I am just honored "it" made "its" appearance here first!